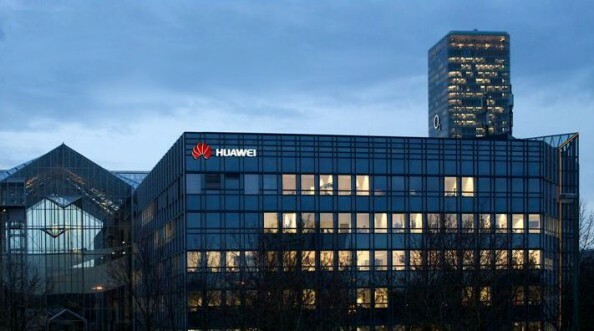 After many years of work with clients across Africa and the Middle East I decided to join a large research organization, more specifically, Huawei’s European Research Center (ERC) headquartered in Munich. I figured that researching security and digging deeper into the cloud would not only give me a chance to put my field experience to good use but also give me a welcome break from a hectic travel schedule. Leaving a job which I’ve held for seven years in order to try something new, unknown and relatively unproven was always going to bring with it some level of anxiety. Travelling home on the U-Bahn after my first day in the office I thought to myself: this company is a monster, a ginormous organism stretching farther east than any organization I’ve worked with before. A clash of cultures, East meets West, or in this case, China meets Germany. And yet, in its own quirky kinda way the company is surprisingly cohesive and efficient. That evening, as I settled in for the night back at home, I was overcome by a feeling of satisfaction and the promise of a fruitful new beginning. My security team is part of The European Security Competence Center (ESCC), a division within the ERC and consists mostly of researchers, scientists and security experts, many of whom have been headhunted and recruited from some of the most prestigious institutions across the globe. While the rest of the world is downsizing and cutting its R&D budget, Huawei is poaching the best minds in the business. The ERC is buzzing with activity akin to anything I’ve read about the early days of IBM, DEC or HP. No matter how many jobs I’ve had, places I’ve visited or projects I’ve delivered, there’s always a tiny element of doubt that whispers to me over the course of the first few weeks. Have I made the right decision, is this what I want, will I be able to perform as expected, will my field experience deliver value – you get the picture. Apparently it’s not uncommon for successful people to feel like complete frauds, in fact the phenomenon has even been given a name: Impostor Syndrome. I’m no impostor but I do think that a healthy amount of self-doubt is a good thing, particularly when starting somewhere new. I see it as a coping mechanism, a psychological phenomenon that helps us deal with new surroundings. I’d go as far as to say that a decrease in confidence may play an active role in helping us to listen more and talk less during the first few critical weeks. The last time I felt like this was when I first joined Microsoft. I remember being completely overrun by acronyms, internal company jargon and unfamiliar biz-speak. Every conference call, corridor meeting, client presentation and even a casual chat at the coffee machine was like a foreign language to me. It must have taken me a good month before I started to put conversations into their proper context without having to consult a glossary. Finding your feet within a new ecosystem takes time and patience, but it also creates an exciting growing experience. For it is the unfamiliar that stretches the mind beyond the boundaries of its comfort zone and it is the uncertain environment that shapes one’s mind faster than any prescribed curriculum. Joining a large Chinese company is every bit like a box of chocolates. I knew what my job would entail, what I was going to be working on (sort of) and where I’d be based, but I wasn’t prepared for a learning curve in a direction I hadn’t foreseen. Imagine for a moment that you were teleported into a magical city filled with brilliant and accomplished people who hold postdoctoral credentials and work on mind-blowing projects. A place awash with all the toys and resources you could ever desire, a no-expense-spared approach for anything that might further scientific progress, product innovation and competitive advantage. Here you can think, ponder, research, collaborate and cogitate to your heart’s content while basking in the warm glow of a research institute. It’s probably the closest you’re going to come to experiencing academia while firmly entrenched within a multinational corporation. Now, imagine that it’s all true, this utopian city does actually exit but with one small caveat: only a handful of its inhabitants speak English. Bright new office buildings grafted onto the Tower of Babel. A large part of my job requires me to collaborate with the product development team back in Shenzhen. And unlike my immediate ERC colleagues in Munich, the team in Shenzhen doesn’t use English. Yes, you heard correctly, no English. Sure, it’s a global company with a huge workforce and a dazzling international future, but the reality is that it’s still a Chinese company with deep Chinese roots. Despite tremendous amounts of energy and cash being spent on internationalizing the organization, it will be a while longer before all this effort trickles down to the bulk of the workforce. Anyone needing to collaborate with coworkers back in China will face language challenges for the foreseeable future. My task – as Sun Tzu aptly put it – is to find those opportunities, workarounds and needles in a haystack… Bring on life’s next adventure. I won’t lie to you, it hasn’t all been smooth sailing. Our first conference call was less than productive, in fact, it was pretty much a disaster. Even though I spoke very slowly, articulated my words as clearly as I could, no amount of pidgin English would help us to find a common ground on technical matters. At the end of the call both sides parted still trying to digest what had transpired and neither was in a position to ask for further clarification. If this project was going to work I’d need a new approach. Over the course of the next few calls I came to realize that it is easier for my team in Shenzhen to understand written English than the spoken word. In fact, they are quite the accomplished consumers of English scientific journals, technical documents and online material. As a result, instead of belching seemingly incomprehensible phrases into the microphone I started to speak while transcribing my words into the instant messenger app. My Chinese team received the full audiovisual experience while increasing their overall comprehension. The added advantage of this type of exchange is that it also works in the opposite direction. It’s not super-efficient but it gets the job done. There were instances when we hit the occasional vocabulary roadblock at which point the meeting was reduced to mutual exchanges of heavy breathing or the random Chinese joke which went straight over my head. Maybe the automated English-Chinese translation was to blame? On occasion we have had to resort to “calling a friend” capable of bridging the language divide. Baby steps. We’re managing, things are moving forward and we are slowly building a functional working relationship, albeit with a random sprinkling of frustration. Things will improve and we will find other more novel ways to enrich the collaborative effort. For now, frustration and the occasional misunderstanding is the price of doing business in an organization such as this one. I’ve been joking about learning Chinese for years, and now I find myself drawn more to learning the Chinese language than German. If the mountain won’t come to Muhammad, Muhammad must go to the mountain. wish u all the best Shem :). I really enjoyed the post, Dr.! Sounds exciting! All the best with this next chapter Shem! Shem, yes I agree with rationale for the change in work. The first 6 years of any person’s life is critical; they need both mum and dad to be around to teach and guide them and love them. Try skype translator. it may ease some of your pains. Are you still at ERC Munich? Can I contact you, I have an offer to join ERC and thinking about moving to Munich. Please let me know. Hey Tony, yep still with ERC but not in Munich. I’ve relocated to Dublin for the next 12 months. But happy to answer any questions you may have.